On our second day in Amsterdam, the plan was to fit in as many museums as we could. I think we did pretty well with two small children: Het Scheepvaartmuseum, NEMO Science Museum, and Verzetsmuseum. After a full first day (Vondelpark, the Heineken Experience, Albert Cuyp Markt), both kids adjusted amazingly well and slept through the night. I had a bit more difficulty and was randomly awake from midnight to 4 am. With another night of very little sleep, I powered through on mostly excitement and adrenaline. We took tram 1 from our house (the Ecuplein stop) to Nieuwezijds Kolk in the city center. 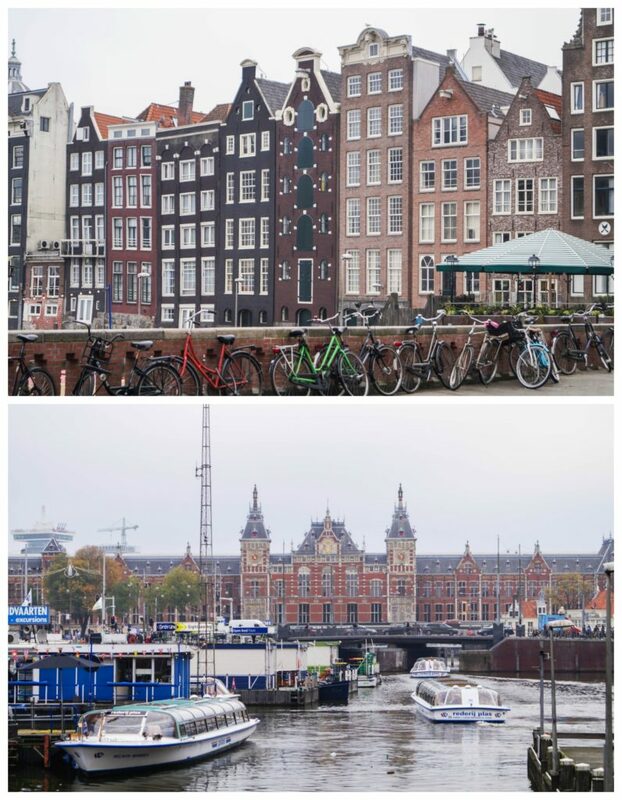 From there, we walked east across Damrak (with great views of Amsterdam’s Centraal Station) and into the Red Light District to reach our stop for breakfast, De Bakkerswinkel. De Bakkerswinkel (the baker’s shop) has multiple locations in the Netherlands. We visited the centrum restaurant in the Red Light District just north of the Oude Kerk. We had an amazing spread and it was my favorite breakfast of the whole week. I ordered a Matcha Latte and the Hollands Ontbijt- Dutch Breakfast which came with an assortment of breads (beschuit, dark rye bread, gingerbread, sourdough), butter, jams, hagelslag (sprinkles), and cheese. 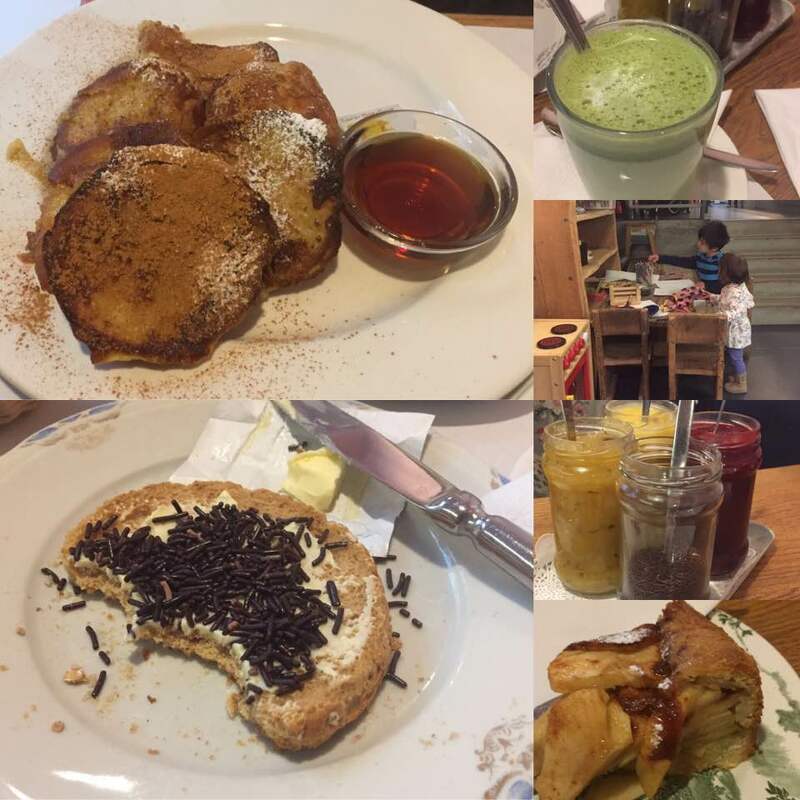 Chad had the French Toast and Appeltaart (apple pie). Claire shared my breakfast and Evan had a croissant with butter and jam. Our table was right next to the indoor children’s area with toys, puzzles, and crayons so we were able to relax and enjoy our breakfast while they played. Next to the bakery is Amsterdam’s oldest building, De Oude Kerk (Old Church). Oude Kerk was created around 1213 as a Roman Catholic Church. It has high stained-glass windows, four pipe organs including a grand organ from 1658, and the roof is the oldest Medieval wooden vault in Europe. It was also built over a cemetery and the floor consists of granite gravestones holding Rembrandt’s wife, Saskia (gravestone 29), and over 10,000 other people. The church has been renovated many times over the years. Much of the interior was destroyed during the Reformation in 1578 and it was changed into a Calvinist church. We did not go inside, but the hours are from 10-6 on Monday-Saturday (1-5:30 Sunday). It is 7.50 euro to enter (cash is not accepted- only credit or debit card) and free for children under the age of 13. It is also free with the I Amsterdam City Card. The tower is open April-September on Thursday-Saturday from 1-5. 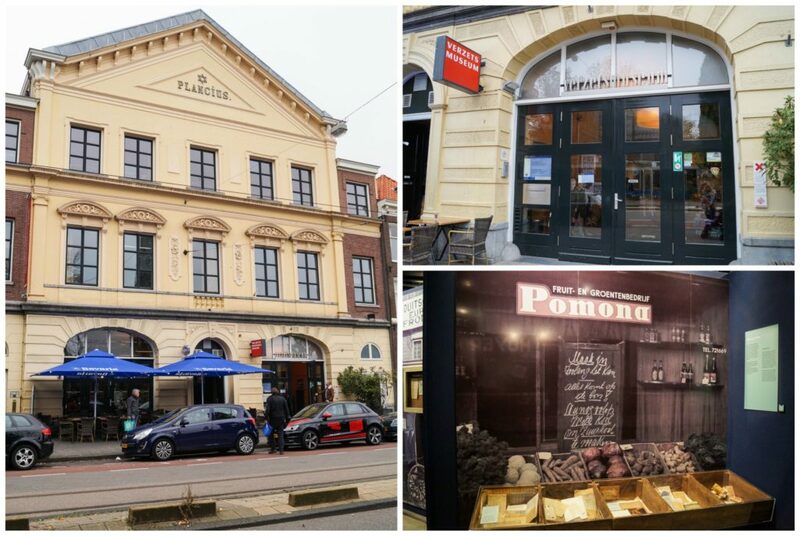 For a bite to eat, you can visit De Koffieschenkerij in the former sacristy. As a note: De Oude Kerk is in the heart of the Red Light District, about an 8 minute walk from Centraal Station. As you walk around the church, be careful of where you are pointing your camera. It is illegal to take photos of women in the windows. 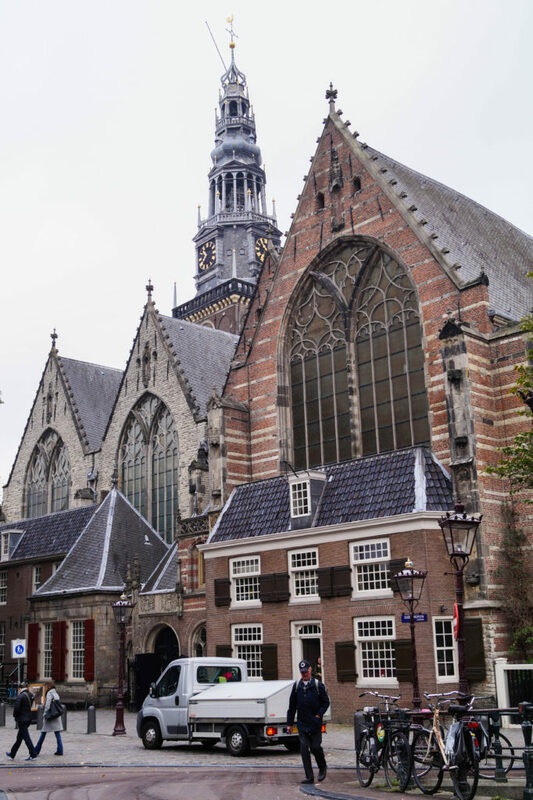 Other nearby churches include Museum Ons’ Lieve Heer op Solder (Museum Our Lord in the Attic)– A 17th century canal house with a Catholic Church in the attic and Basilica of St. Nicholas (in the photo below). Amsterdam is home to around 75 museums, so there is something for everyone. With only a few days in the city, it was so difficult to narrow down our top choices. I made a list of must-visits (with the kids in mind) and would-like-to-visits. Due to time constraints, I didn’t reach all of the ones I wanted, but have no regrets. We still saw plenty and had an amazing time. For those wanting to fit a few museums in your visit, the I Amsterdam City Card is a great choice. 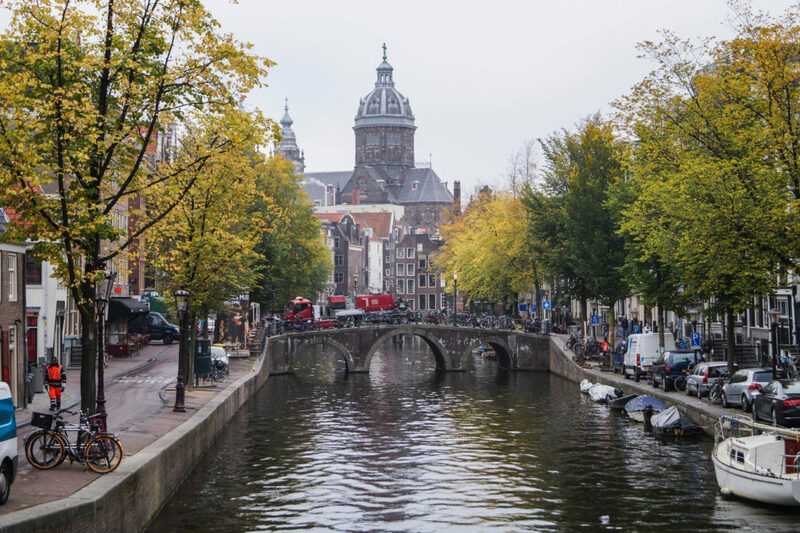 It covers entry to many of Amsterdam’s top museums and attractions (plus a couple in nearby cities), a canal cruise, free use of the public GVB transportation in Amsterdam, a detailed city map, along with dozens of discounts to local restaurants and stores. I picked up my I Amsterdam City Card at the Schiphol Airport in the I Amsterdam Visitor Information Centre at Holland Tourist Information. It is also available at Amsterdam Centraal Station or for purchase online in 24, 48, 72, or 96 hour increments. 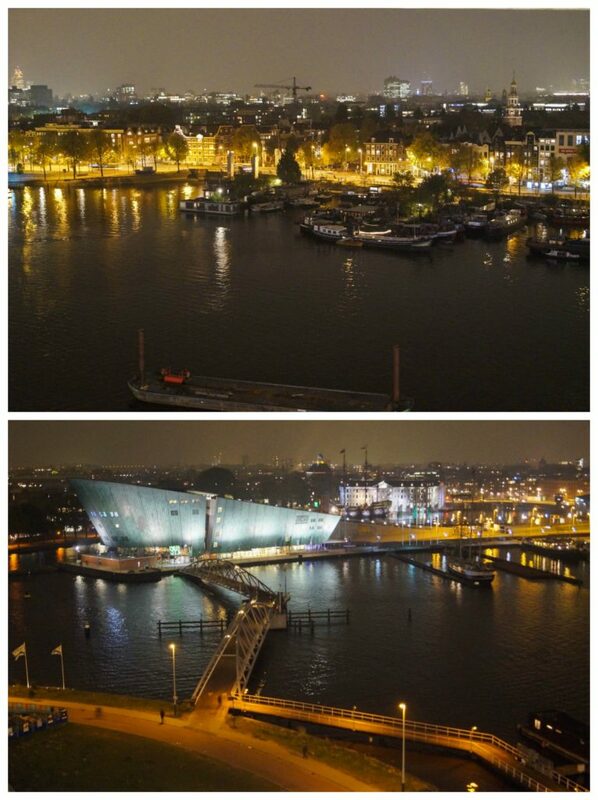 For our first museum, we went to Het Scheepvaartmuseum (National Maritime Museum). It is a 20 minute walk southeast of the Centraal Station in the Plantage (the Cultural Garden of Amsterdam) with bus stops nearby. The museum is open daily (closed on King’s Day, Christmas, and New Year’s) from 9-5 with the library open on Thursdays from 9:30 to 5. Admission is 15 euro for adults, 7.50 for children 5-17, and free for children 4 and under. It is free with the I Amsterdam City Card. Free one hour audio tours are available. Bags and strollers are checked at the entrance (with a locked room for strollers and lockers available downstairs for bags and coats). Wheelchairs are available. The museum (above on the right) has been housed in a former naval storehouse, ‘s Lands Zeemagazijn (Admiraliteits Magazine), since 1973. It underwent an extensive renovation from 2007 until its reopening on October 2nd, 2011. 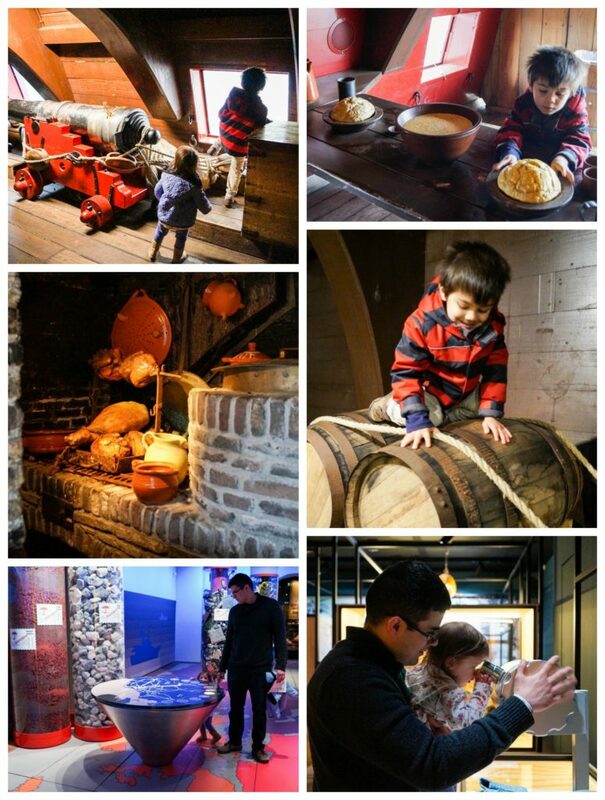 It is dedicated to 500 years of maritime history from maps and artwork to weapons, models, and other items. 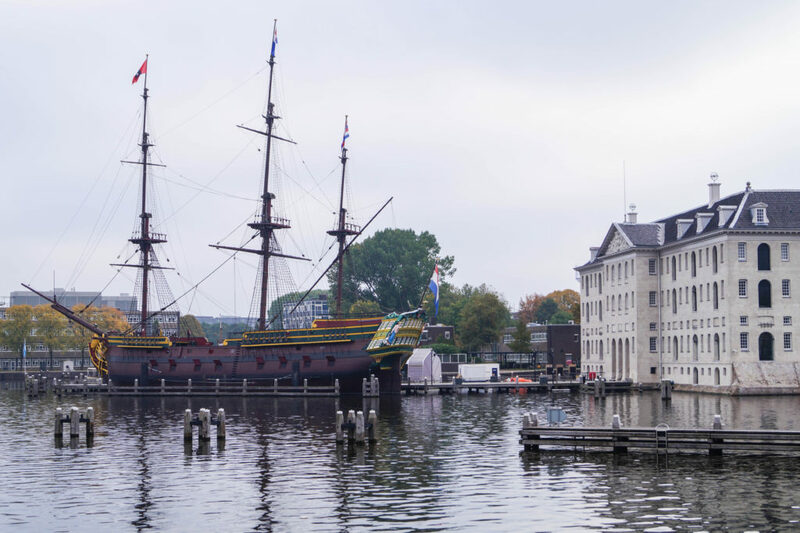 The favorite part of the museum for Evan and Claire was the replica of the Amsterdam docked behind the museum. It is modeled after an 18th-century ship that sailed between the Netherlands and the East Indies. 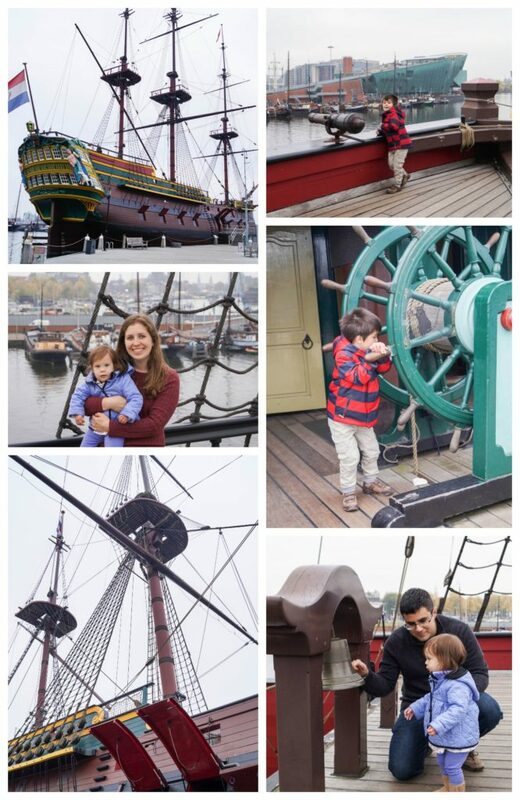 The museum has kids in mind with plenty of hands on activities (just obviously keep an eye on small children around the edges of the boat and dock). The lower levels of the boat even have replica barrels and shipping equipment with encouragements for children to climb and play. The museum also has a restaurant- Stalpaert. Another kid-friendly museum is just a short walk (around 8 minutes) from Het Scheepvaartmuseum. The NEMO Science Museum is located at the Oosterdok in Amsterdam and has been housed in the ship-like building since 1997. It is open Tuesday-Sunday from 10-5:30 (closed on King’s Day and Christmas). Admission is 15 euro for those over the age of 4 and free for children under 4. It is free with the I Amsterdam City Card. The rooftop terrace is also open to the public. The bottom floor has a storage area for strollers, coats, and bags. The museum is also wheelchair-accessible (minus the roof with the many stairs) and every floor has restrooms. NEMO is the largest science center in the Netherlands with five levels featuring everything related to science and technology. Most of the exhibits are hands-on to help the kids learn and experiment. 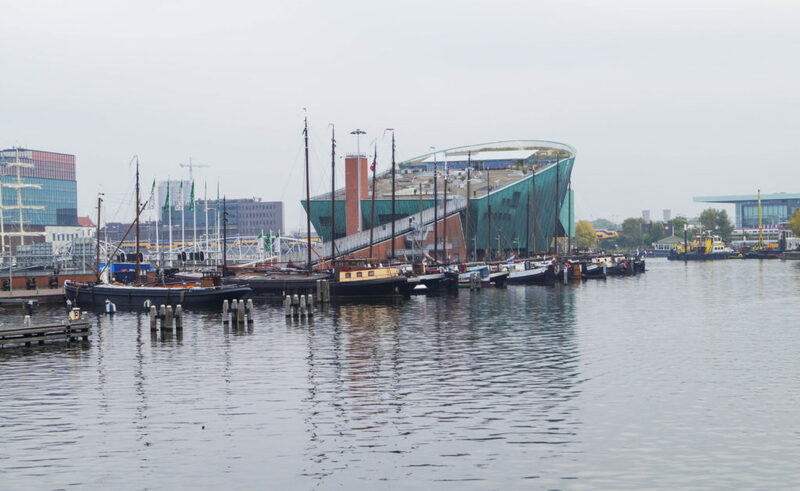 The name for the museum has changed a few times over the years and has been the NEMO Science Museum since 2016. After dropping off our bags and the stroller, we took the elevator to the rooftop terrace. 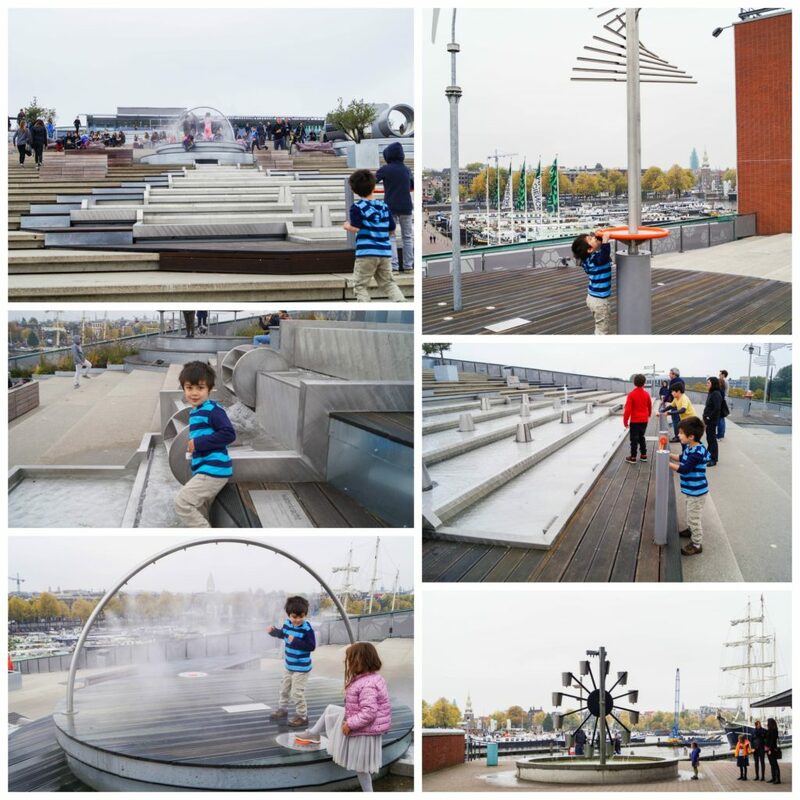 Even though it was quite chilly outside, everyone was still having a wonderful time playing with the ‘Energetica’ exhibits, often using water, across the roof. This area offers wonderful views of the city and there is the self-service DAK restaurant at the top. At the restaurant, we had flammkuchen (similar to pizza), fries, a chicken wrap, berry smoothie, and strawberry lemonade. There is seating indoors and outdoors (we chose outdoors). NEMO also has a cafe and coffee bar inside the museum or you are welcome to pack your own lunch. The exhibits are constantly updated and there are also regular demonstrations and workshops. Evan loved how everything was so hands-on from building play structures to creating rain. After Evan was done exploring, we still had time to fit in one more museum. The Verzetsmuseum (Dutch Resistance Museum) is a 12 minute walk south of NEMO. The Verzetsmuseum is in the Plantage district and features the resistance of the Dutch people to the occupation by Nazi Germany. The museum is open from 10-5 on Tuesday-Friday and 11-5 on Monday, Saturday, and Sunday. Admission is 10 euro for adults and 5 euro for children 7-15. It is free for children younger than 7 and with the I Amsterdam City Card. There is a small area just inside the museum to store coats, strollers, and bags. The museum is wheelchair friendly. The powerful exhibits focus on the streets of Amsterdam during World War II, from May 1940 to May 1945. There are stories and artifacts demonstrating what life was like with food exhibits, photographs, press, and the impact on the former colony of the Dutch East Indies. 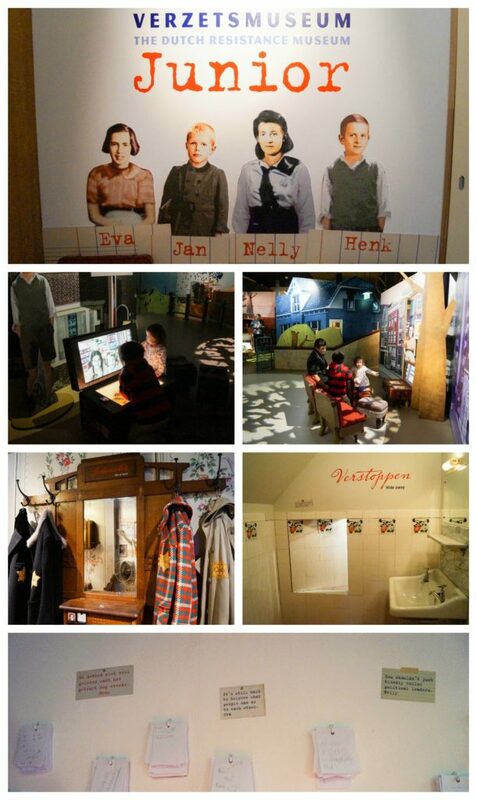 For young visitors, there is also the Junior Museum highlighting four children during the occupation. Each section has videos and rooms to explore showing the lives of the children- Eva who is Jewish, Jan whose parents are in the resistance, Nelly who is a member of the Nazi youth club, and Henk who is just trying to get by. Other notable attractions in the Plantage include the Rembrandt House Museum, Tropenmuseum, Artis Royal Zoo, Hermitage Amsterdam, Jewish Historical Museum, Hortus Botanical Gardens, Oosterpark, National Holocaust Museum, Outsider Art Museum, Arcam, Micropia, Portuguese Synagogue, and the National Holocaust Memorial. Three museums were pretty much the limit for Evan and Claire, so we spent the last hour or so of daylight walking along the canals before dinner. 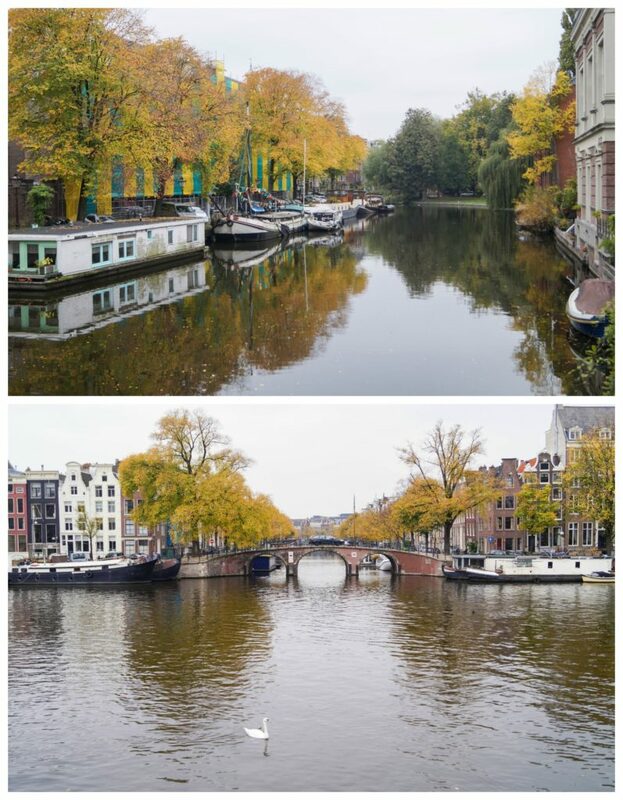 The Magere Brug (Skinny Bridge- in the top photo below) is one of the most famous bridges and around a 12 minute walk southwest of the Verzetsmuseum. 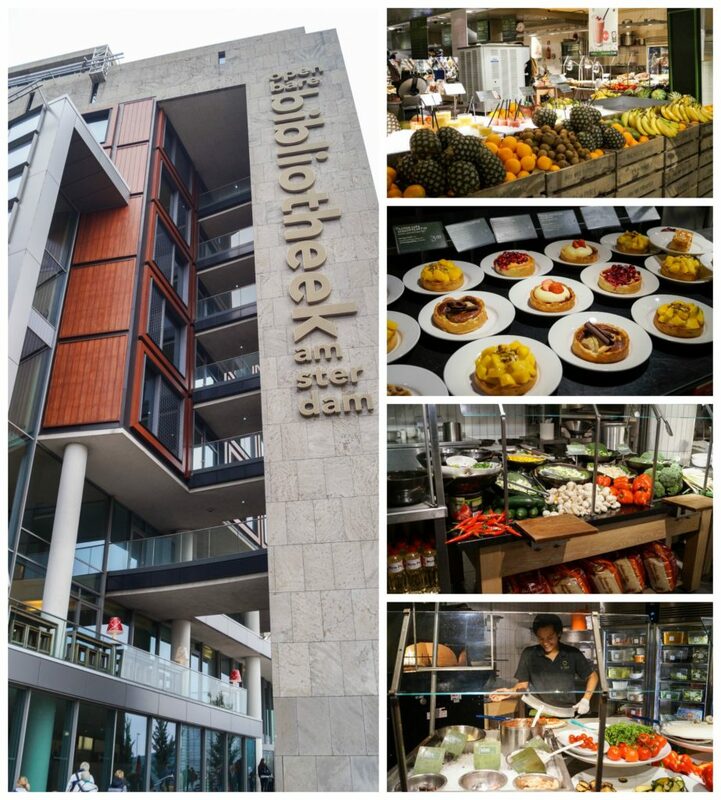 If you are looking for another unique place to eat around the museums, the Openbare Bibliotheek Amsterdam is a great choice. The OBA is the public library with its central location situated on Oosterdokskade, between Centraal Station and NEMO, since 2007. This fascinating building is seven stories tall and is open daily from 10-10. The bottom floor has a children’s section. Restrooms are located on the ground (with room to change a baby) and seventh floors. The area is also stroller friendly. 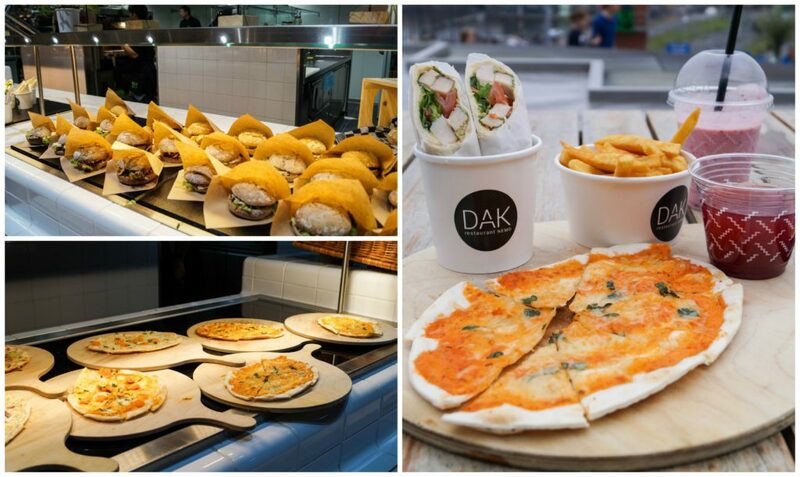 The seventh floor also has La Place, a self service restaurant featuring hot and cold items such as pizza, stir-fries, smoothies, sandwiches, and desserts. Along with the cafe, the top floor of the library also offers some amazing views of the city. Note: There is a Media Markt next door to the library, just in case you forgot an adapter to fit your laptop cable like I did or have any other electronics needs. Disclaimer: I received a 72 hour I Amsterdam City Card in exchange for my honest review. I used this card to visit many museums and attractions around Amsterdam and for the GVB public transportation. All comments and opinions are my own. Since my breakfast at De Bakkerswinkel was my favorite, I have been recreating parts of it at home. I brought back some mini chocolate ball-like sprinkles and paired them with Beschuiten. A Beschuit is a Dutch rusk, a form of dry and brittle bread. The idea for baking the bread twice came from the Roman Biscotum as a way to preserve the bread for weeks while traveling, like the Biscotti. A version called Scheepsbeschuit (Ship Biscuit) gained popularity in the Netherlands as a staple for sailors. These were even more hardened compared to the current beschuiten and needed to be soaked in liquid before consuming. As the recipe evolved, the city of Wormer made the beschuit more delicate for table consumption. Sugar and egg were incorporated and yeast is also a common addition now. The Beschuiten can be covered with a variety of toppings. I served them with butter and chocolate sprinkles I found in a chocolate shop in Amsterdam. They are also often paired with Muisjes, sprinkles that are made with pink and white or blue and white covered aniseeds. This is a popular treat following the birth of a baby, pink for a girl and blue for a boy. As a bonus, the aniseed interior (the name Muisjes- mice comes from the little tail in each sprinkle created from the aniseed) helps with milk production. If you are royalty, there are even orange colored muisjes to represent the Dutch royal house, the Oranges. Preheat oven to 350 degrees F and line a baking sheet with parchment. Grease 6 (5 inch) circle molds or ramekins. In a large bowl, cream together the butter and sugar. Mix in the flour, baking powder, and salt. In another bowl, beat together the milk and egg. Add to the flour mixture and combine to create a dough. On a lightly floured surface, knead the dough until smooth. If too crumbly, add a little more milk. If too sticky, add a little more flour. Divide the dough into 6 equal pieces. Roll each piece into a ball, press into a thin circle, and place on prepared baking sheet. Top each circle with a greased mold or inverted ramekin. Bake in preheated oven for 20 minutes. Remove the ramekins, flip the rolls, and cook for another 10 minutes. Transfer the rolls to a wire rack to cool completely. Preheat oven to 350 degrees F. Slice each cooled roll in half and place on a baking sheet, cut side up. Bake until toasted through and golden, 10-15 minutes. Turn off the heat, slightly open the oven door, and allow to cool in the oven. Once cooled, store the beschuiten in an airtight container until ready to serve. Oh such lovely pictures..!! Reminds me of my trip to Amsterdam year ago. Such a beautiful city and so vibrant. Thanks for refreshing my memories. Amsterdam is a beautiful city and yes the museums are amazing. I only regret I didn’t stumble upon those chocolate sprinkles you found! They look amazing! I can definitely get behind sprinkles for breakfast! Thanks for sharing and loved your wonderful travel photos. Lovely pictures and lovely review. And those Beschuit looks great. Thankyou for the tour of Amsterdam. Very brave to do so many museums with two small children! I have never been to Amsterdam, but would love to go. What a great holiday. What an awesome post. I have never been to Amsterdam but I surely will. Such a beautiful city! You’ve given me the urge to visit this beautiful city! Thanks for the outstanding tour. 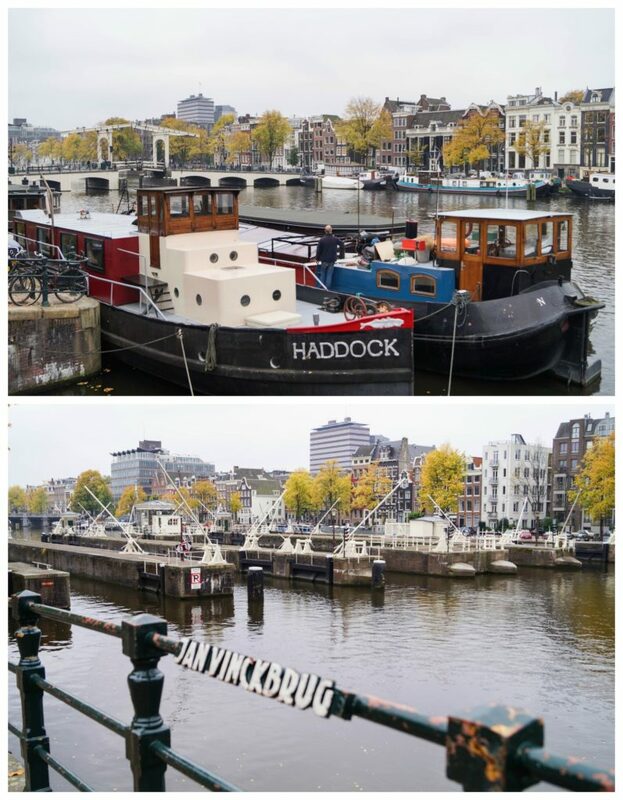 I love all your photos of Amsterdam! The chocolate sprinkles on the rusks are lovely! Wow I just love how kid friendly everything is!